Everyone needs a boost in the dreary month of January – with this Winter being one of the darkest since records began! 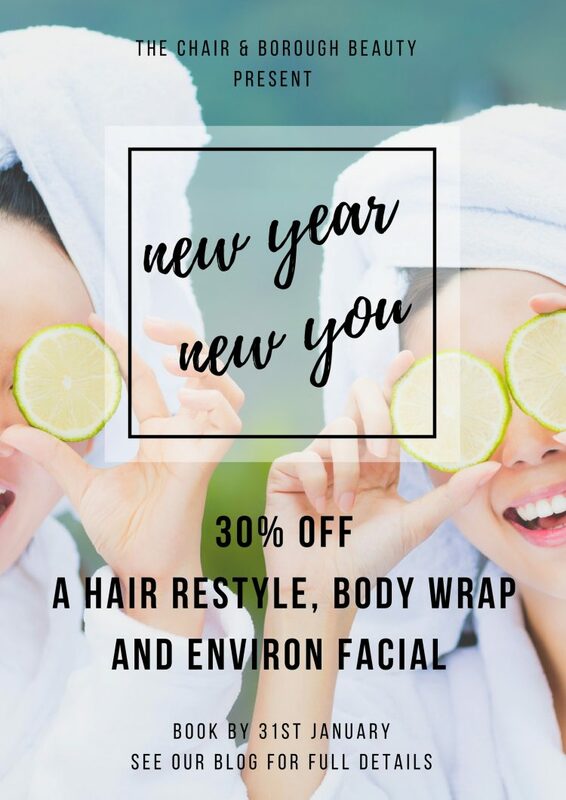 So book yourself in for a renewing, energising body wrap, Environ facial and hair re-style to re-invigorate those resolutions and give yourself a glow. When you book these three treatments together you get 30% off which will help with the ‘spend less’ and ‘look after myself’ resolutions! Call the salon or pop in to make your appointment 01227 455545. Offer ends 31st January and is available to both new and existing clients.